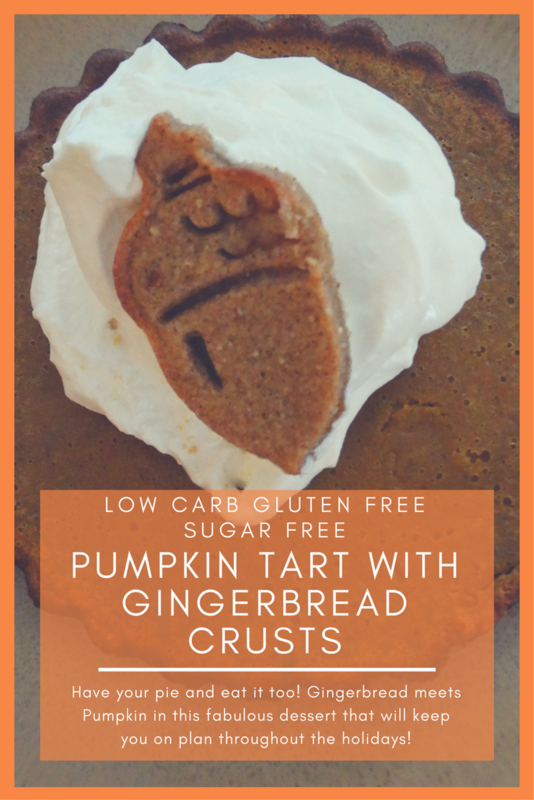 What could be better at the holiday table than pumpkin tarts with gingerbread cookie crust that is also low carb, sugar free and gluten free?? 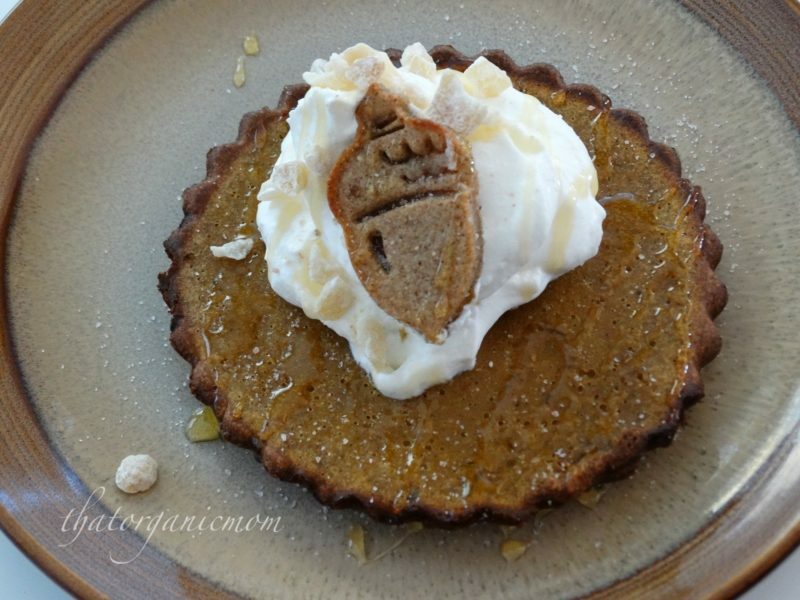 Two of our favorites, gingerbread and pumpkin pie, come together in this low carb tart! So delicious you'll never miss what isn't there; the sugar and flour! Instead of making one big pie, I used these adorable mini tart pans with removable bottoms for making Pumpkin Tarts with Gingerbread Cookie Crust. Don't leave out the Xanthan gum in the crust recipe, it results in a much smoother crust. Also, don't forget the eggs because, well, I did one time and the result is pumpkin soup. That's what happens when you aren't present or focused on your task. Also, could be the result of too many kids talking and participating. Either way, put all the ingredients in your pie and you'll end up with a yummy dessert, okay? Pumpkin is traditionally a Thanksgiving pie but with the gingerbread crust we can carry our favorite pie to Christmas! Whip up some heavy whipping cream to dollop on top and you'll have a dessert that rivals the traditional recipe. This dough does not need to be chilled and is super easy to work with. My daughter cut out the decorative pieces to add to the tops. You can see how easy the dough is to work with in this photo. Just make sure to use parchment paper on top and bottom when rolling it out and you'll be amazed! For the gingerbread crust, preheat oven to 275F. In a large bowl, whisk together almond flour, sweetener, coconut flour, ginger, cinnamon, cloves, cardamom, baking powder, Xanthan gum, and salt. Stir in eggs, coconut oil, molasses and vanilla until dough ball forms. Place dough onto a large piece of parchment paper. Top with another piece of parchment and roll out about 1/4 inch thick. Using the tart ring cut into 6 individual crusts and place the crusts into complete tartlet rings. Bake 20 minutes or until golden brown and just firm to the touch. Remove and let cool 10 minutes before filling with pie mixture. While crusts are cooling, beat together all pie filling ingredients at medium-low speed, until smooth taking care to scrape down sides and not over-beat. Using a scoop add pie filling to prepared crusts in tartlet rings. Bake until done in center. Put back in oven and bake 15-20 minutes until pie is set. Remove and let cool 10 minutes before filling with pie mixture. You can cut decorative pieces with the leftover crust. This makes exactly enough crust for six tarts and a few decorative cut outs. If you double the recipe you can also have some gingerbread cookies! I had a small amount of filling leftover which I baked in a small soufflé dish without the crust and realized that pumpkin pie tastes just as good without the crust! Next time you may want to make a crustless pumpkin pie! 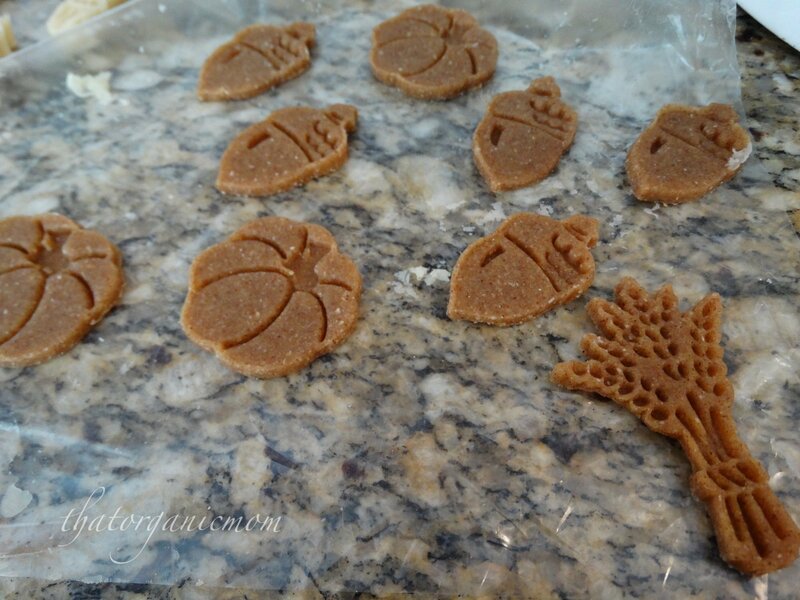 If you are not following a low-carb or gluten-free lifestyle you might enjoy making my traditional sugar cookies. They make great holiday gifts for friends, neighbors and co-workers. 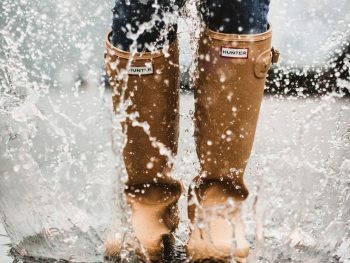 Previous Post: « Top Tips for a Green Christmas that won’t stress you out!